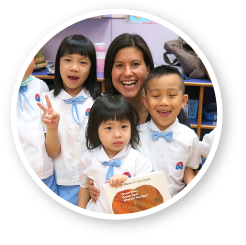 Bring Me A Book Hong Kong, founded in 2006, is a non- profit organization with a mission to advocate for family literacy by facilitating access to quality children's books and empowering parents and educators to read aloud with children for future success in school and life. 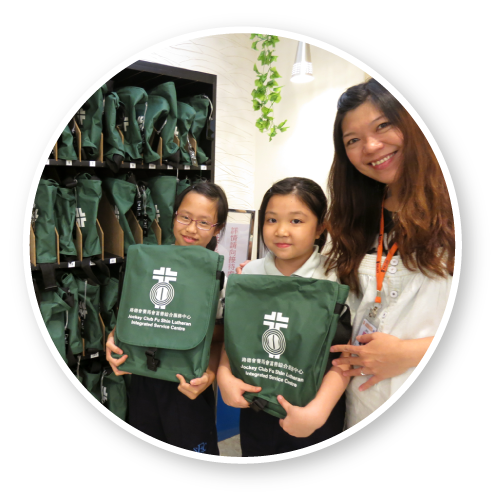 We reach out to underserved children and families in Hong Kong to provide book bag libraries and bookcases and training programs as public resources in nurseries, kindergartens, community centres, shelters, health clinics and in the workplace. Bring Me A Book Hong Kong continues to work tirelessly to fulfill our mission to strengthen family literacy in Hong Kong. Our work is made even more impactful through meaningful partnerships and collaborative efforts, and we had many of them in 2012-2014. 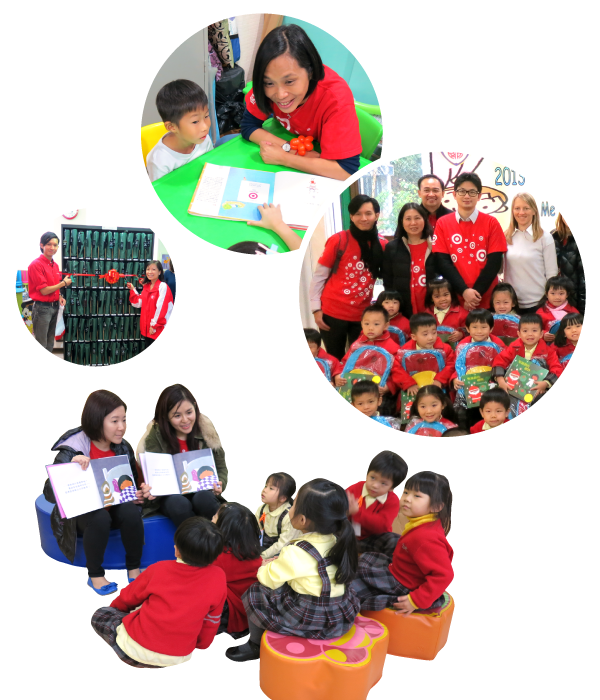 In addition to our core mission to install free bookcases and book bag libraries and provide training throughout Hong Kong, we also collaborated with partners to develop new programs like our "Love to Learn" campaign, ethnic minority project and SCOLAR project, among others. To broaden and deepen our reach and beyond, we revised our guides to the best Chinese and English language picture books. Both guides are available through our website. 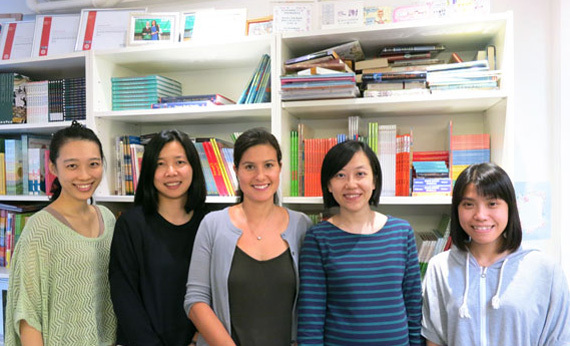 We proudly support the Feng Zikai Chinese Children's Picture Book Award. 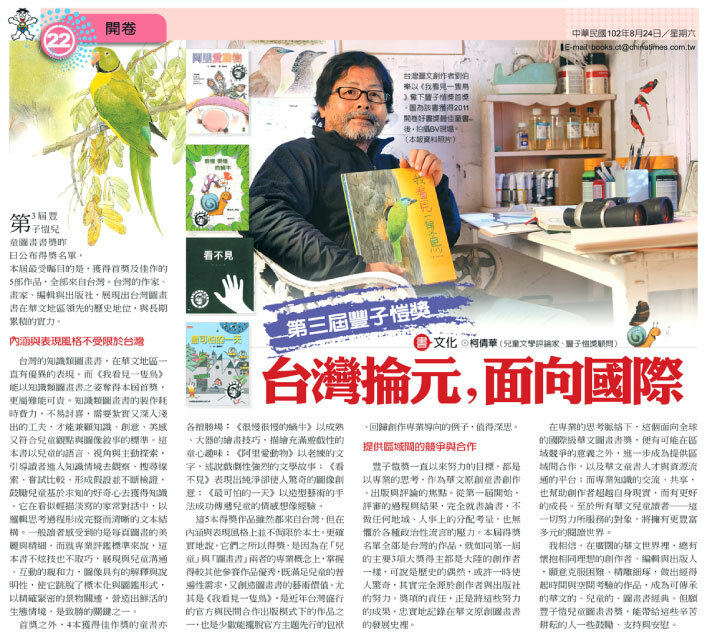 The third biennial award for an outstanding Chinese children's picture book was presented in Nanjing in 2013 to Liu Bor-leh for his book "I See a Bird”. In the two-year period surrounding the announcement, we hosted a number of activities to help promote this meaningful award, including academic forums, storytelling sessions with award winners, media relations, and judging panel meetings, to name a few. None of this would have been possible without your support, as well as the commitment of our dedicated staff and board members. Together we share the passion for nurturing life-long learners and strengthening family bonds through a shared love for books. 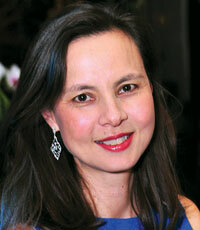 Thank you for entrusting Bring Me A Book Hong Kong to turn that passion into action. The Book Bag Library Program is a lending library of quality hardcover children's books in easily transportable book bags. Each library contains a total of 220 books for children from infancy to eleven, in 65 book bags. 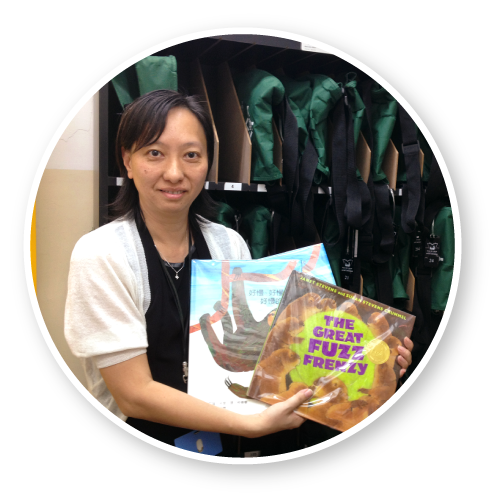 The flagship program of Bring Me A Book is our Bookcases, each of which holds 45 quality, age-appropriate English and Chinese language picture books for children in a beautiful wood display shelf. In 2012-14, we installed a total of 17 Book Bag Libraries and 71 Bookcases in the community. The Hong Kong Federation of Youth Groups Jockey Club Tin Yuet Youth S.P.O.T. Providing access to quality books for children is our first priority, but teaching parents and childcare providers to read with the children is an integral part of Bring Me A Book's mission too. The First TeachersTM Training Program enhances our library program by engaging and educating parents, childcare providers and teachers on the critical importance of reading aloud to children. 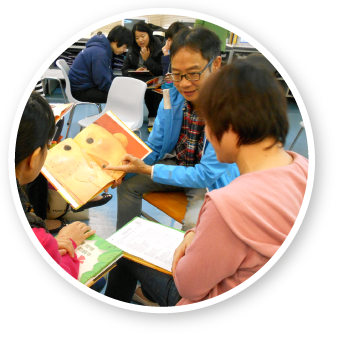 This practical training program teaches easy read aloud strategies to implement at home. 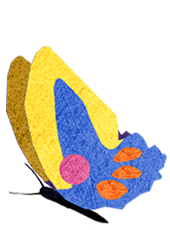 The curriculum is interactive and uses "modelling the message" techniques to empower and educate parents with young children to become their child's "first teacher." BMABHK's experienced trainers conducted a total of 363 First TeachersTM Training workshops over the past two program years, training 6,069 parents in the art, and importance, of reading to their children. We are extremely grateful to the 769 volunteers in the past two years who have donated over 2,500 hours to Bring Me A Book HK through book wrapping, reading to children, administrative support and preparation of our fundraising event. 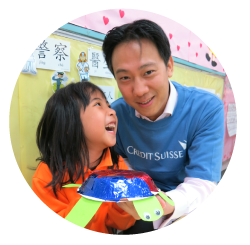 Special thanks to all the volunteer support from AON, Bank of America Merrill Lynch, Bank of Communications (IT Department), Credit Suisse, Goldman Sachs, Hyatt Hotels & Resorts, Orrick, PIMCO, Skadden and Target. On October 4, 2013, we organized a successful fundraising gala: "All Things Bright and Beautiful". 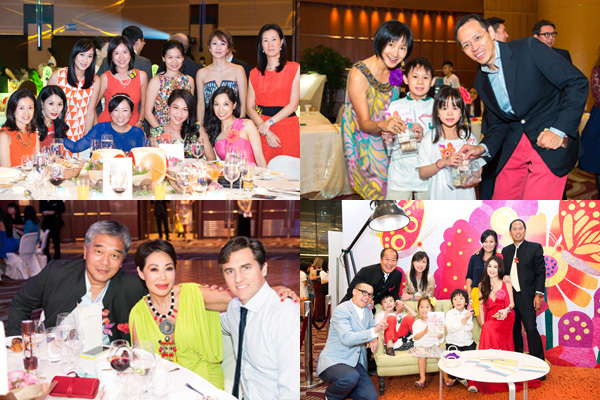 With support from over 530 guests and the generous donation of 90 silent auction items and hundreds of lucky draw prizes, together we raised more than HK$5 million in net proceeds, including 47 pledges for Bookcases. These funds will not only allow us to place superior quality books in children's hands, but also to provide parents and teachers with the necessary skill set and knowledge to read to children confidently and effectively. Special thanks to our special celebrity guest Karolina Kurkova, emcees and volunteers. And deepest appreciation and gratitude for the tremendous efforts of our fundraising committee. 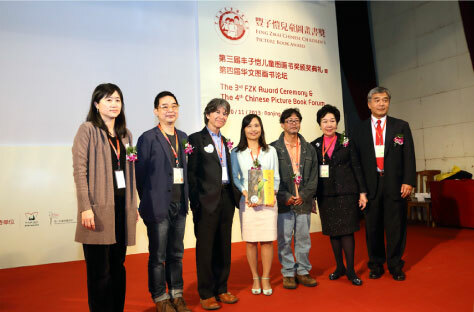 The Feng Zikai Chinese Children's Picture Book Award (FZK Award) was founded in 2008 as the first international award for Chinese children's picture books with the aim of encouraging the creation and publication of quality Chinese children's picture books and fostering the public understanding of children picture book. For the first time, the award ceremony was conducted in tandem with the forum whose theme was "From Craft to Art" - from 9th to 10th of November 2013. 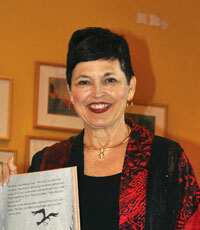 Both events drew a large attendance and brought an enthusiastic response. Six creators were selected for this year's award. The first prize went to "I See a Bird" by Liu Bor-leh. Honors books were: "The Very Slow Snail" by author and illustrator Chen Chih-yuan, "Ali loves Animals" by illustrator Huang Chih-Ming and author Huang Li-huang, "I Can't See" by author and illustrator Tsai Chao-lun, and "The Scariest Day of My Life" by Tom Liu. 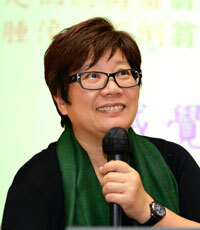 The keynote talks at the forum, were delivered by two world renowned children's authors: Anthony Browne, British children's book author and illustrator (Hans Christian Andersen Award and Kate Greenaway Medal) and Jimmy Liao, a popular writer in the Chinese picture book community who pioneered adult illustrated books. Mr. Liao's talk sent the forum to another crescendo. The next day, the Award Committee launched two charity seminars in Nanjing, one enrolling university students and the other preschool parents. Both met with a splendid response. 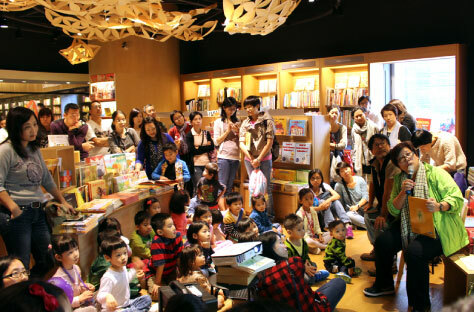 Immediately after the forum, a one-month exhibition on FZK award-winning books was staged in Shenzhen Book Mall and Eslite Bookstore in Hong Kong. 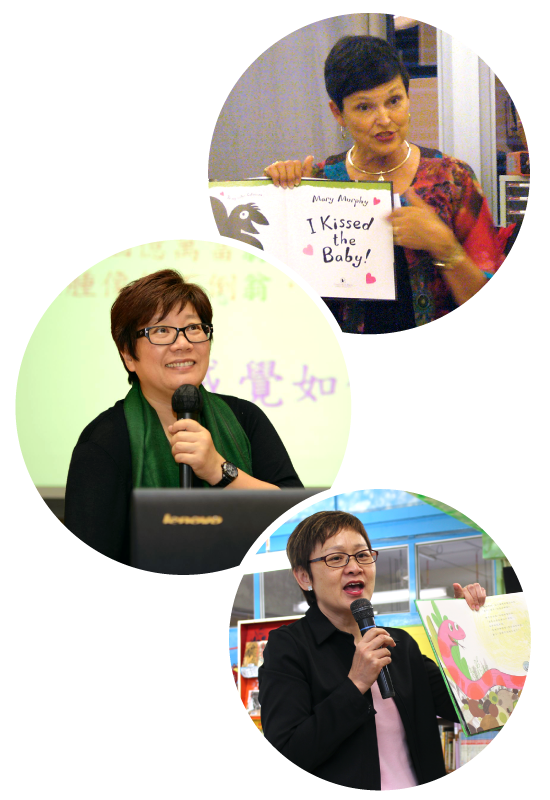 Award winners were invited to share their writing experiences and sign books at the parent-children reading forum of Shenzhen Reading Month. Mr. Browne and the 3rd award winner, Mr. Liu Bor-leh, held their respective book-signing sessions at the Eslite Bookstore. 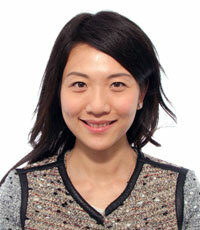 Both exhibitions received favorable response across Mainland China, Hong Kong and Taiwan. 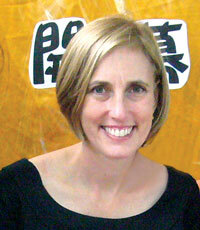 The Nanjing, Shenzhen and Hong Kong events drew over 10,000 participants and covered up to 50 reports in the region. We are deeply thankful to our major donor, Bank of America Merrill Lynch (BoAML) for providing us with both financial aid and volunteer support over the past 2 years. Since 2012, more than 5,500 children from low-income families have benefited enormously from the 8 Book Bag Libraries and 5 Bookcases that have been donated by BoAML. Their generous support has also enabled us to train 876 parents, teachers and social workers on a range of reading skills, from our award-winning First Teachers' Training to advanced workshops. A social worker from one of the recipient sites said that the training has provided parents with the skills and the right attitude to read aloud in a fun way, making them more confident. "At first the parents didn't read to their children. 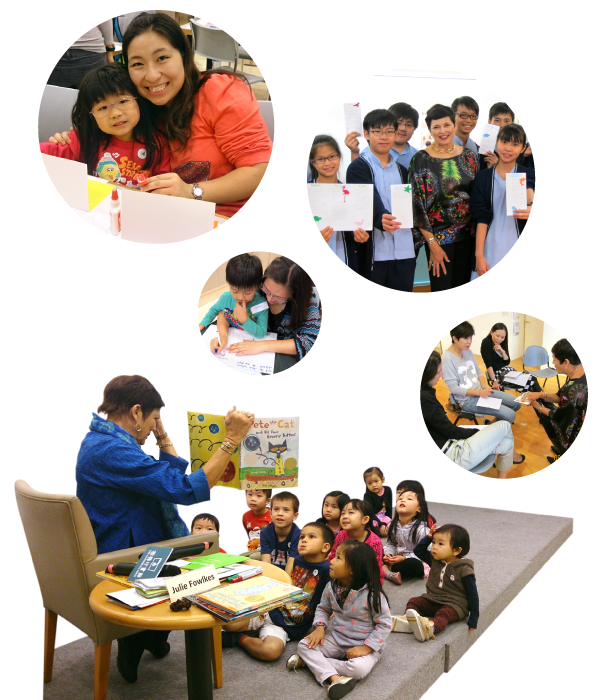 But after the training they learned some read aloud skills and became more confident and enjoyed reading with their children very much." From the surveys collected, 98% of parents strongly agreed/agreed that the advanced workshops have encouraged them to make the reading experience with their children more effective and fun. 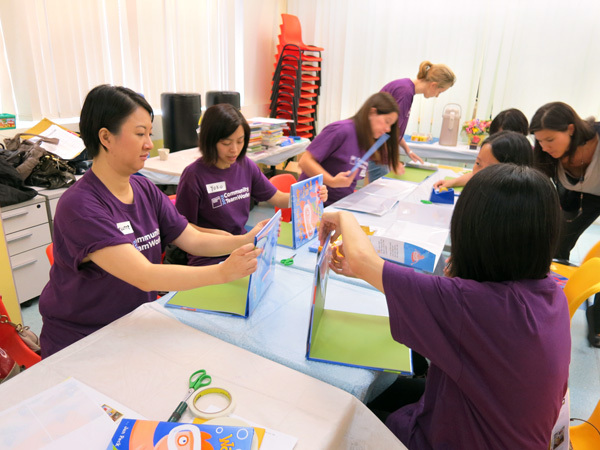 130 BoAML staff actively engaged in 7 volunteer reading sessions and 2 skills-based volunteer sessions. Both the volunteers and the kids had great fun during the storytelling sessions. 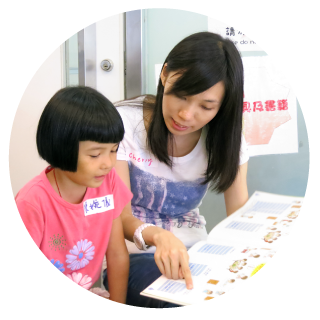 Sponsored by The Ovolo Group, this project specifically focused on improving Chinese as a second language for low-income ethnic minority children in Hong Kong. We partnered with Yuen Long Long Ping Estate Tung Koon Primary School and provided a series of activities included reading sessions, drama workshops, Chinese tutorial classes, visits to Hong Kong Central Library and book donations, for a total of 104 ethnic minority students. The whole project was fruitful and we received positive feedback from the children and the school. 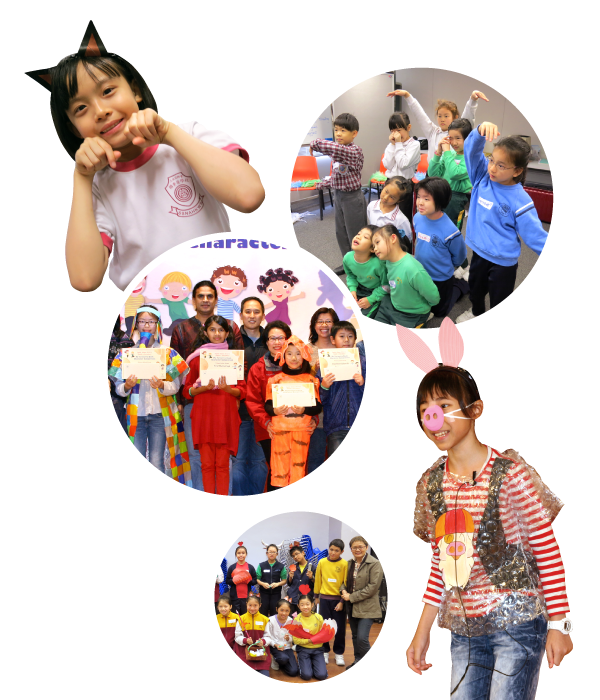 Over 90% of children enjoyed our activities and indicated an increased confidence in speaking, reading and writing Chinese as a result. The Bring Me a Book Institute launched in 2012 to respond to a growing interest from highly educated middle class parents in our award-winning training workshops. A social enterprise, the Institute generates some limited funds to provide an alternative and sustainable revenue source for our non-profit work. 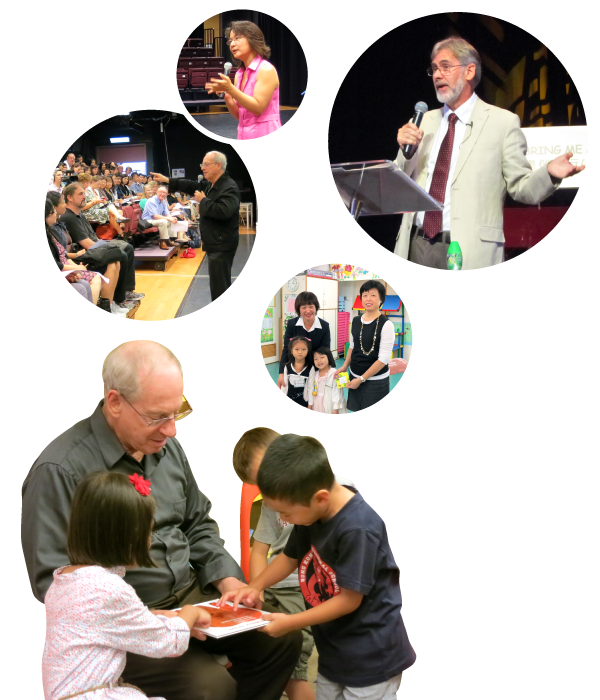 It also helps to reinforce our position as the leading advocate of family literacy by providing a platform to invite high caliber speakers from the literary and parenting field to join the Institute's "Speaker Series." 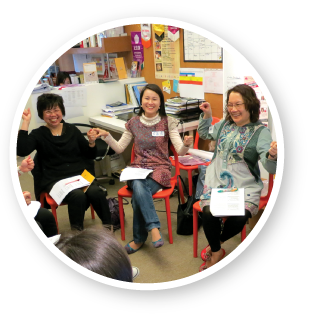 In the past two program years our BMAB Institute workshops, talks for parents and teachers, and storytelling sessions for children reached approximately 1,400 new audiences and generated over HK$74,000 in net proceeds. Special thanks to our donor, Target, for providing us continuous support since 2009. In 2012, we replenished a total of 1,120 books at four existing Book Bag Libraries and 9 existing Bookcases benefitting over 3,600 children. In 2013, we installed three Book Bag Libraries and four Bookcases in needy community centres and kindergartens reaching nearly 4,000 children. We also conducted 10 advanced trainings for 122 parents to further support their learning and increase the impact of the library installations. From the feedback received, 96% of parents agreed that the advanced trainings have encouraged them to make the reading experience with their children more effective and fun, and 91% of parents claimed that they were motivated to practice literacy activities more frequently after attending the advanced trainings. In collaboration with the Standing Committee of Language Education and Research (SCOLAR), we organized a total of 15 workshops including "Have Fun with English Stories," "Be A Story Teller," "Bringing Books Alive – Drama Education" and "My Favourite Book Character Competition" to encourage a love of English through story based activities. A total of 280 primary and secondary students from 62 schools across Hong Kong benefited during the holiday periods of Christmas, Chinese New Year and Easter. The programme received very positive responses from the students as they were exposed to a wide range of approaches to selected English language stories from creating their own stories to improvising book characters, to bringing stories to life and mastering the skills of storytelling. 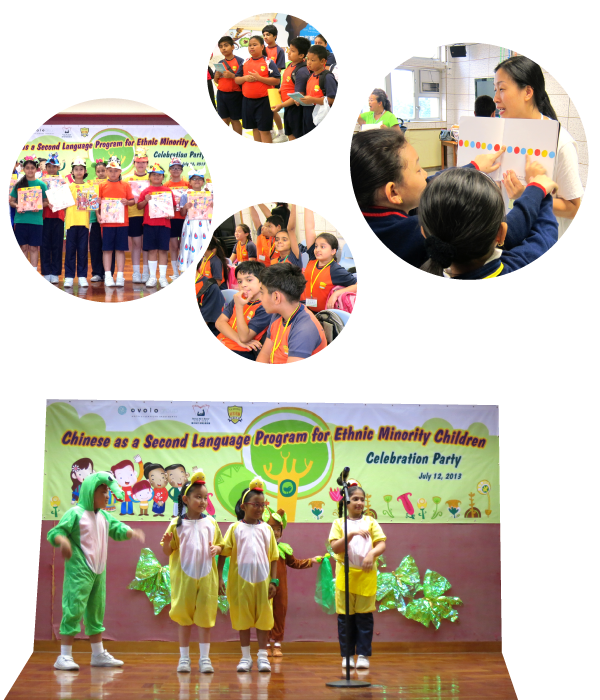 Essential to our learning approach is that it is fun for the kids and inspires creativity as well as providing a good platform to practice their oral English. 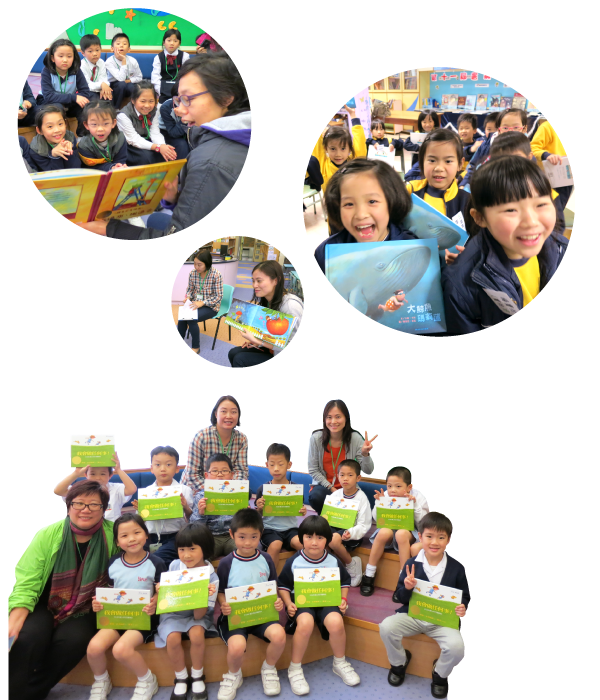 Bring Me A Book™ Hong Kong launched the "Love to Learn" campaign in 2013 as a collaborative effort between Bring Me A Book™ Hong Kong and the Chen Yet-Sen Family Foundation. 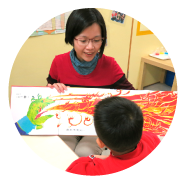 Through "Love to Learn," we 'influence the influencers' by bringing industry experts including early childhood literacy specialists and authors to share their expertise and spread the love of reading across Hong Kong. The main aim is to advocate for change in the way we learn – to improve children's confidence, motivation and interest to read – and to enhance literacy development. 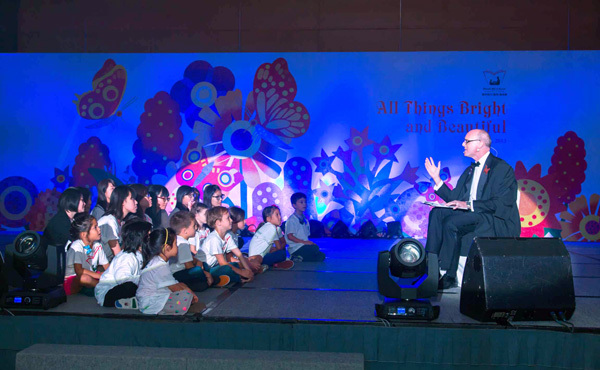 Since the launch of the "Love to Learn" campaign, we have invited 11 author and/or childhood education experts to give talks and run 10 advanced workshops in literacy development. So far we have directly impacted 1,600 children, 750 parents and 320 teachers through the campaign. 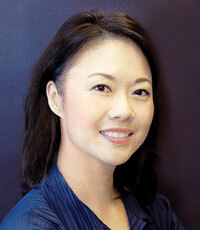 Special thanks to our donor Hyatt Asia Pacific to support our “Love to Learn” Campaign in 2013. This two-year project sponsored by an anonymous donor, enabled us to provide a strong foundation for literacy development and motivation to read in children from low-income families. During the first year of this project, we partnered with three primary schools and provided 30 reading sessions for a total of 87 children from low-income families and conducted parent trainings for 57 parents. We also donated a bookcase with 200 quality children's books to each school and provided 900 complimentary books to all the children who participated in this project. The first year of this project was completed successfully with the help of our experienced trainer Choi EE and a team of committed volunteers. In the second year of the project, we will partner with another three primary schools to reach more children and families in need. With the generous support from Operation Santa Claus, we are able to conduct 56 award-winning "First Teachers Training" for 1,120 parents of children 0-8 years old from disadvantaged local families and set up 28 reading corners at each participating school in 2014-2015. 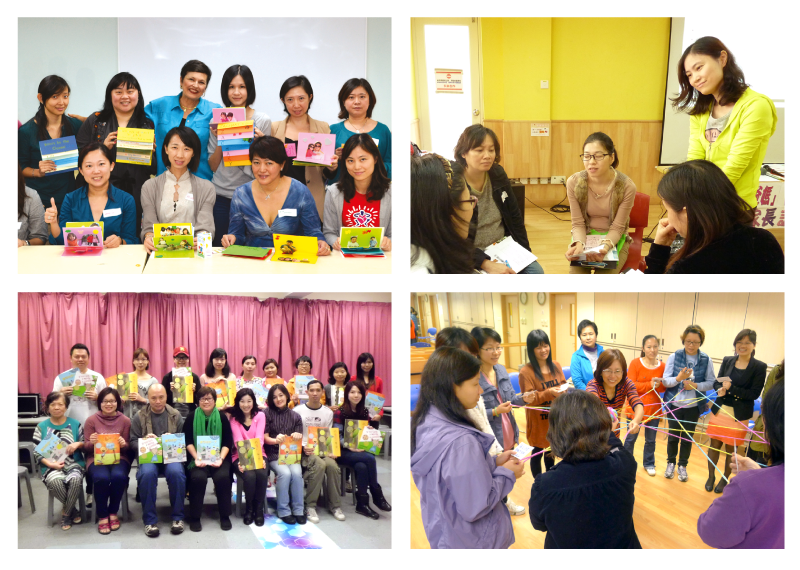 As at 30 Apr 2014, we have conducted seven trainings for 140 parents in order to equip them with the skills sets and confidence to make reading with their children powerful, effective and fun. We have also set up two reading corners benefiting over 400 children. The whole project will be completed by June 2015. Participant of "First Teachers Training"
"Before the training, I read with my daughter for learning and she was so reluctant to read books. 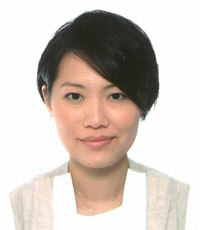 After applying what I had learnt in the 'First Teachers Training', she started to pick up the book and read." To ensure her daughter could read well, Christine attended different workshops which claimed to help develop children's literacy skills. However, much of the advice she heard did not help her daughter at all, "I was so frustrated as different speakers shared specific ideas regarding reading but none seemed to work and some were even contradictory to each other. I became stressed as the reading techniques were very demanding until I came across Bring me a Book's method. The read aloud skills that BMABHK's trainer introduced brought fun to our reading time. Reading is not just about learning words, but also about the illustrations. Now, when I read with my daughter, we read aloud and discuss the pictures too!" Christine also mentioned that the "First Teachers Training" emphasized the importance of a positive reading attitude as well. As such, she has just changed her approach, ensuring reading time is a fun and pleasurable experience as this will help her daughter develop a life-long reading habit. 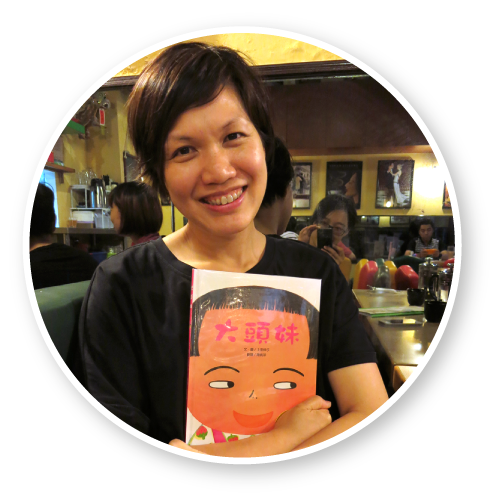 Throughout the training, Christine was most impressed when BMABHK's trainer recommended the Feng Zikai award winning book "A New Year's Reunion". 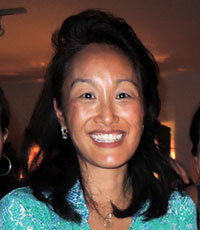 She felt her family, including her husband, could really relate to the story. As such, they have a closer relationship from reading together. 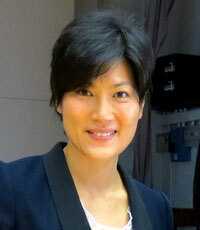 "I do feel tired trying to balance work and family life. Yet, when I think of quality time with my daughter, I am strengthened to read with her. I don't want to miss these treasured moments together." "I am well-equipped and more confident in leading BMABHK's 'First Teachers Training' after attending their 'Train the Trainer' workshop. 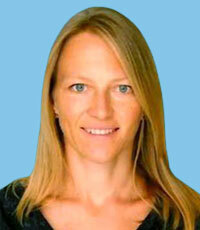 Thanks to the experienced trainer's expertise and feedback from the participants, I am encouraged to do better." Every organization that joins BMABHK's Library Program will become our community partner and can invite staff to attend our "Train the Trainer" workshop for free. 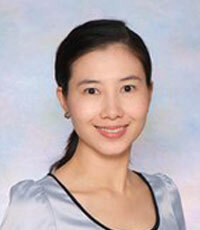 Ms Cheng admitted, "I thought I knew how to choose good children's books before the training. Now, however, I realize that the big books aren't always the best books." 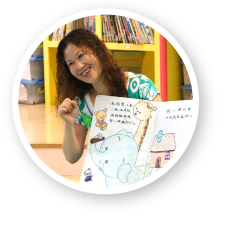 She believes that parents generally identify with the importance of reading; therefore, to further promote a positive reading culture, BMABHK's "Guides to the Best English and Chinese Children's Books" are a wonderful resource for parents and teachers. Not only do the guides help save time for those looking for good books, but as they are all picture books, they also encourage 'conversational reading', enhancing a deeper communication and relationship with the children. 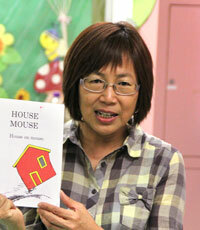 "The Library Program of Bring Me A Book Hong Kong is wonderful! The books in the library are carefully selected and are very good quality! 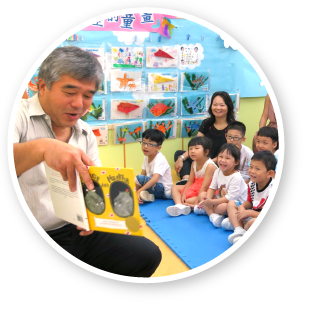 People who visit our kindergarten really appreciate what we are doing to promote reading." 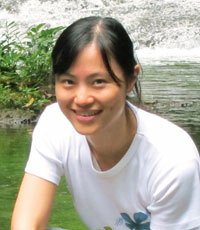 Shun Tin Rhenish Nursery joined our Library Program in 2013. 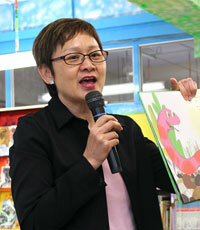 Ms Lee, the principal, said that these picture books widened the teachers' horizon. Although they bought books for students, they did not know how to select good quality books for children until they became BMABHK's community partner. "All the books and the bookshelf we received are brand new and excellent quality. What a valuable resources to our students!" 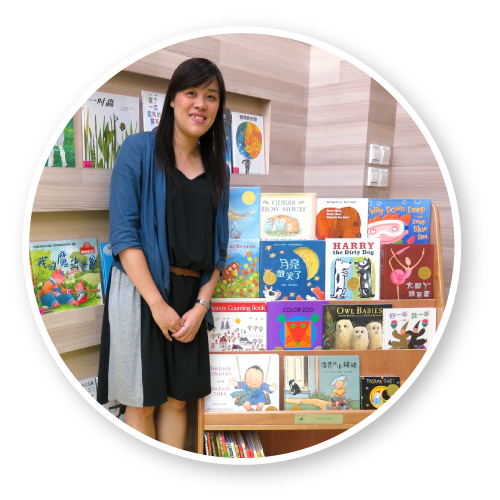 Ms Lee was also happy to see the reading atmosphere improve immediately after the bookshelf was installed in the reception area, "Our students love to pick up a book and read while they were waiting for their parents." "The Book Bag Library Program is a very attractive and convenient service to parents. They can bring picture books home after the book club activity. When children see the bag, they are very motivated to read the books inside." 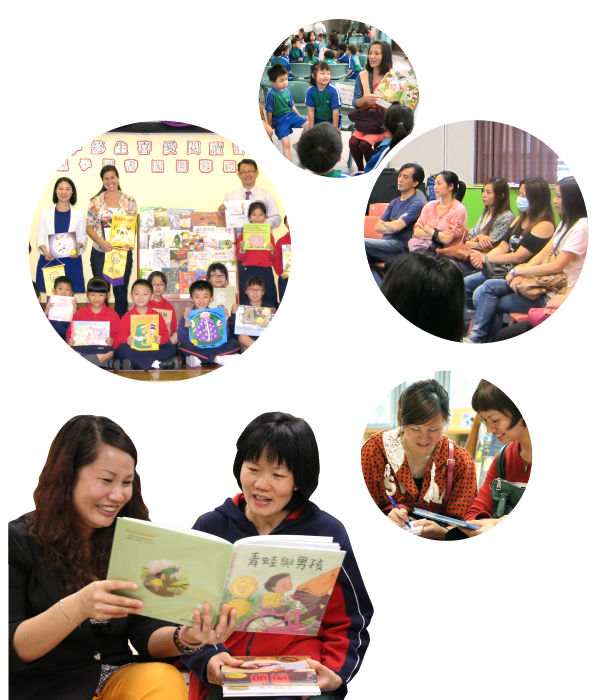 Ms Lu from Yuen Long Town Hall Family Life Education Unit shared why she was so devoted to promote parent-child reading, "As a mother, I truly believe that reading is a very good way to nurture relationships within the family. Children may forget what they have read but they will always remember the moments when their parents are spending time with them." Each BMABHK Book Bag Library includes 65 canvas bags with the organization's logo printed on it. Each bag contains 3 – 4 quality Chinese and English children books for parents to read aloud with their children. Ms Lu appreciated that all bags were printed with their organization logo. "One of our participants had lost the bag on the train and ended up getting it back because of the information found on the bag." "The books that BMABHK provide to parents are very high quality and we are so proud to be able to present these to the parents of our community." Every participant who has completed the 'First Teachers Training' receives a new children's book to incentive them to read at home. 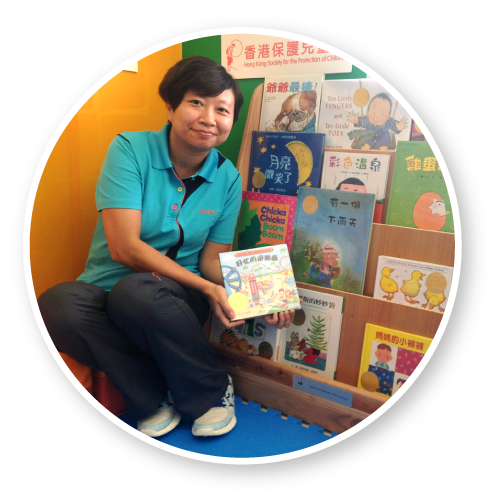 Supervisor of the day crèche, Ms Yeung, also agreed that the training and books really help to empower the parents to read aloud with children regularly. 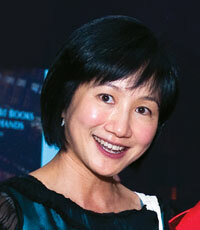 Working with infants and their parents for so many years, Ms Yeung hopes that parents will learn to value books more. "Parents are willing to pay a lot for toys. Yet, I hope that they will understand that a book is a toy, a very valuable toy too. Parents tell me they now experience a much stronger connection and bond with their children through reading together." Participant of First Teachers Training and Founder of "Reading Makes You Shine"
"I am much more motivated and confident to read aloud with my child after attending the 'First Teachers Training'." Like all parents, Lai wanted to give her child the best start in life and searched the internet for research-based activities that fostered her child's healthy development. When she came across BMABHK she was thrilled as she found the resources – available for free - on the website incredibly useful, 'Every parent should know where the treasure is!' Lai said. Later, Lai joined the Community Training led by BMABHK trainer. 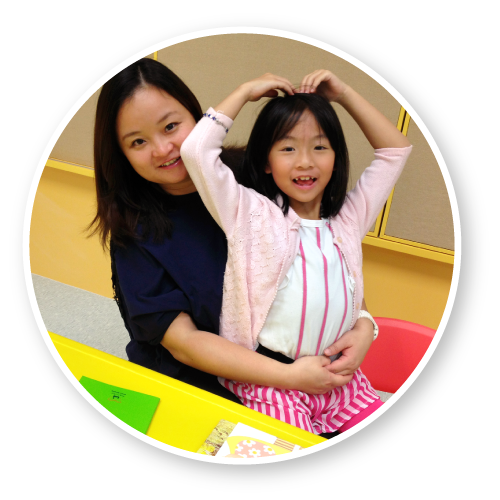 Her read aloud skills improved significantly and she had a new understanding of how her and her husband can enrich their relationship with their daughter through stories. "Reading aloud was becoming more and more boring like a mundane routine. Now, I know how to leave some space for myself and my child. Reading becomes fun again and I enjoy it more than ever." Lai felt so inspired having experienced the benefits of reading aloud through BMABHK's method, she and other participants started an online (Facebook) book club which also meets regularly called 'Reading Makes You Shine'. This book club has grown quickly and attracted many more parents and educators who share the same vision – that every child should be read to in every family.